Over the years I've trialled so many different methods to track my TBR list, and I think finally I can say I have found a way that I know I will use consistently and know that I will be happy with. 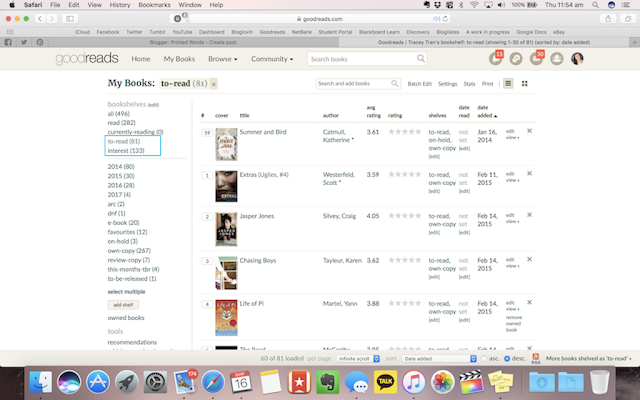 I've seen so many Bloggers share their experience in tracking their TBR and spreadsheets seem like the most popular choice. I did try to use that, but as I started creating my spreadsheet I started to feel so lazy. True story. So what I've done is gone back to Goodreads and figured out the best way to use it to my advantage. 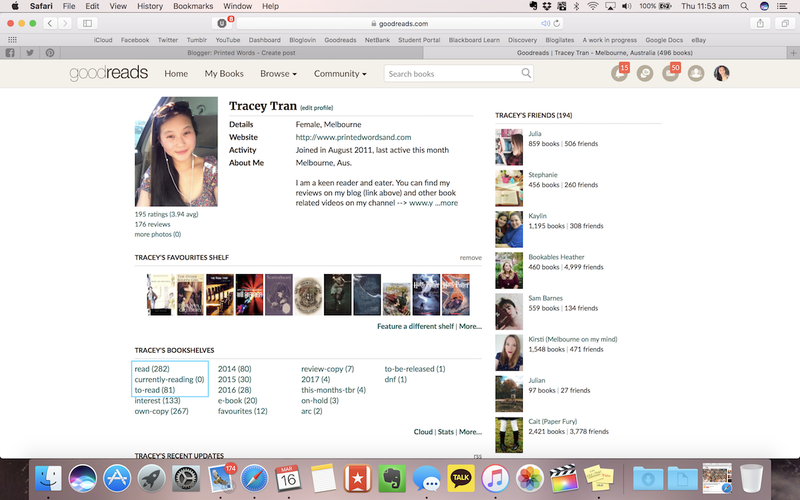 I know a lot of people aren't a fan of Goodreads - and for good reason - but I've found it to be a great tool to use. Initially there are three basic shelves: Read, Currently Reading and Want To Read. Pretty straight forward. I use to file every single book that I wanted to read into "Want To Read" (very self explanatory). However, that made me really confused because some were books I wanted to buy and some I owned and had never read. The solution? I added another shelf labelled "Interest" to differentiate the two. Everything in "Want To Read" are TBRs on my bookshelves, and everything in "Interest" includes books I want to read and buy later on. At the moment I'm in the process of adding books into my "Want to Read" self on Goodreads to have it up to date with what's on my shelf, so there's only 80 books listed in there. That's pretty much it! How Do You Organise Your TBR?